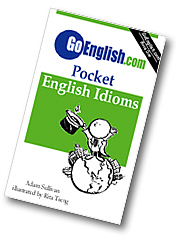 Today's Idiom = "Go Overboard"
Going overboard is doing too much of that thing and losing control. Example: "It is okay to make jokes. But don't go overboard." Example: "Have fun, but don't go overboard."